Against the background of the Scottish Government arguing in the Supreme Court for the need for proper consultation over Brexit with the Scottish Parliament, mountaineers in Scotland have expressed serious concerns over a lack of proper consultation closer to home. 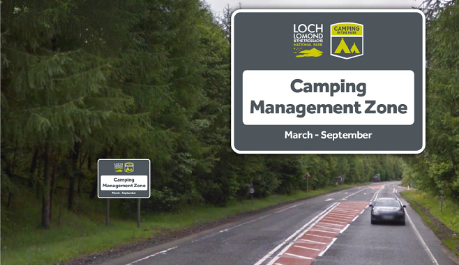 On Monday 12 December the Loch Lomond and the Trossachs Park Authority Board will consider proposals for a permit system and related signage which will facilitate the introduction of restrictive camping byelaws in the national park. The relevant papers are published on the Park Authority�s website. David Gibson, CEO of Mountaineering Scotland said: �The Park Authority is rushing through the introduction of a set of appalling proposals which present a confusing picture to intending campers. �If the proposals are approved, the lack of on-the-ground clarity about camping management zones and provision could lead to the criminalisation of people who might believe they are camping or resting at night during a journey, which would otherwise be within their rights by complying with the provisions of the Land Reform (Scotland) Acts and Scottish Outdoor Access Code. �The proposed permit scheme will also impose costs of �7 per night on people who would otherwise be able to enjoy free access to the outdoors and as such is socially divisive, at a time when the Scottish Government is encouraging more people to get active. Image: An example of a proposed camping management zone sign. The byelaws include campervans, motorhomes and anyone sleeping or resting in a vehicle overnight, yet the sign gives no indication that these users are subject to restrictions. If you are served a notice by a park ranger, you could be committing a criminal offence which attracts a �500 fine.